I’ve been a very busy girl. Like nose-to-the-grindstone and no-more-nose-left kind of busy. The type of busy that when you finally catch up, you still feel that antsy gotta-keep-going feeling. It’s as if you’ve forgotten what it feels like to be still, to not be under the gun. Yeah, that’s been me. 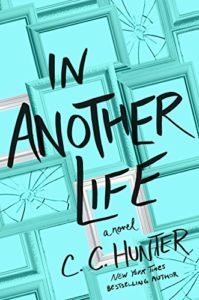 At the same time, I got my copy edits on my March 26th release for my young adult thriller novel, In Another Life. 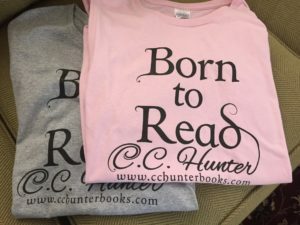 For those of you who don’t understand what “copy edits” entail, it’s when someone (a copy editor) reads your book and makes corrections on both grammar stuff, typos, missing words, and they’ll mark anything that needs tweaking. As in “You said she spoke to her dad, but she really just listened to a voice mail.” Yeah, it was something I changed in revision and didn’t correct in the following scene. It’s an oops, and we writers appreciate our copy editors for finding those errors. So, an author has to go through all the changes a copy editor makes to confirm they agree with those changes. Then they need to address anything she agrees needs to be changed, like the voice-mail thing. That said, there was one comment this copy editor wrote that gave me pause. And here’s where I’m going to explain the title of this blog. In a scene where the hero and heroine go swimming, I have the hero pull off his T-shirt, i.e. He crossed his arms, reached down and caught the hem of his shirt and pulled it over his head. When I saw that sentence marked, I wondered: What’s wrong that that? Her comment explained that boys don’t take their shirts off that way. Only girls. She wrote that girls take their shirts off that way and boys reach over their heads, grab their shirts by the back of their neck, and pull it off. “Just take off your shirt,” I say. “It’s for the book,” I explain. Now you know he thinks all my heroes are based after him, so he smiles and follows my order. Much to my dismay, he reaches over his head to the neck of his shirt and pulls his T-shirt off. I’m shocked. “Why didn’t you grab it from the hem and pull it over your head?” I ask. First of all, I was disappointed that obviously I haven’t paid enough attention to guys removing their shirts. LOL. How could I have missed this? So I do what I always do when something puzzles me. I Googled it. And duh, I found articles on the subject trying to explain this phenomenon. Basically they listed five reasons. How the clothes are made. And here’s one of the articles I found about this. Hope your October is turning out to be a good month! My Stepfather, brother, and Father all pull from the back of their neck. And my sister’s bf pulls off sleeves first. My stepfather says that boys don’t like to pull their shirt off and have it end up inside out. My fiancé does the whole pull from the back of the neck too. He said it’s the way he grew up doing it since he was raised by his dad and has three older brothers! According to him, women do it by the hem so they don’t mess up their hair! My husband pulls his shirt off from the back of the neck. Well hell’s bells, my husband pulls from the back of the neck as well. Who would have thought it. My husband pulls from the back of the neck too.